In my work I have visited many, many museums. In general, I nearly always leave with a feeling that something was lacking. Museums should not be only repositories of objects but a source of education. These institutions are a perfect venue to provide educational opportunities in which the public can attend lectures, examine collections and experience the actual exhibits. Textiles are perfect subjects for such a learning experience. Sadly, many institutions have a very poor record when it comes to their textile collections. Today, many objects are poorly stored, the extent of the collections unknown (as many textiles remain uncatalogued) and the curatorial staff not experts in textiles. The public deserves better, but the public is generally unaware of this situation. So it is up to us, textile lovers, to spread the word and request more opportunities for public inspection and interaction. Over many years I have had the opportunity to visit their galleries and examine their textiles. Their galleries are extremely user friendly with educational didactic panels. A policy that is becoming more routine in many museums, photography (without flash) has been permitted in the V&A (with a few exceptions) for the many years I have been visiting. Costumes are displayed on mannequins in vignettes of daily life so that it is apparent that these are articles of daily life, or articles for formal occasions. In the textile galleries there are hundreds and hundreds of fabrics in glassed flat panels that can be taken to study desks to be leisurely examined. The lighting is good , the chairs comfortable and the staff well informed. It is a pleasure to study there. The history of the V&A began with a committee appointed by Parliament in 1835. The Select Committee on Arts and Manufactures set about to determine the best methods to extend knowledge of arts and design. . In1851 a Great Exhibition of the Works of Industry of All Nations selected their exhibits on the basis of their workmanship or art quality. These exhibits were then acquired with government funding and combined with collections of various schools of design to become The Museum of Manufactures under the patronage of Queen Victoria and Prince Albert. Victoria opened the South Kensington Museum (now the V&A) to the public in 1857. 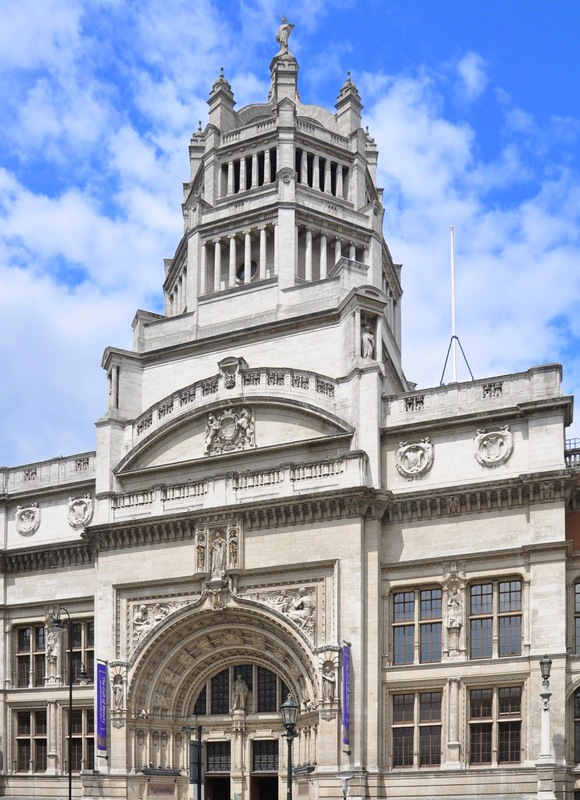 The V&A is considered to be the largest museum of decorative arts and design with the largest collection of textiles in the world and the most comprehensive collection of costumes and fashion in Britain. This massive museum has 145 galleries and a collection of over 4.5 million objects. The V&A has a large list of publications featuring the collection. I have several of their textile books which feature lovely plates of the textiles, an educational introduction, glossary and additional specific information (for example, in volume Embroidery In Britain from 1200 to 1750 there is included a technical illustration of embroidery stitches).